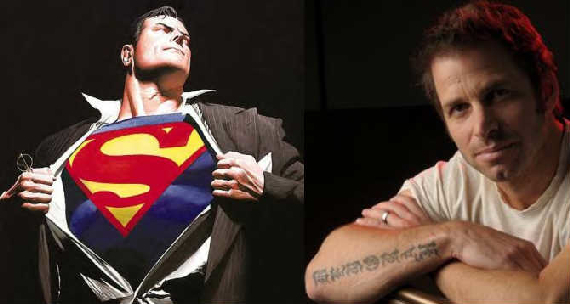 Director Zack Snyder Talks Superman!!! Over at the L.A. TIMES, there is a small interview with director, Zack Snyder (300, Watchmen, Sucker Punch, and Dawn of the Dead) on his next project, “SUPERMAN”. The article suggests that the title will be “Man of Steel”, but there is still not a “set in stone” title yet. I think Snyder will make one amazing Supes film. Henry Cavill is shaping up to be a great Superman and going on from Snyder’s past work, I think we will enjoy what is presented to us on screen. I think we will be seeing some costume work very soon too. This entry was posted on Thursday, March 17th, 2011 at 2:29 pm	and is filed under Comics, Film, News. You can follow any responses to this entry through the RSS 2.0 feed. You can skip to the end and leave a response. Pinging is currently not allowed. « R.I.P. Michael Gough!!! You were an amazing actor!! !